Links for Police Jobs, Police Tests and Entry Exams, Law Enforcement Training and Education, and Police Promotional Exams and Assessment Centers! Below are our favorite links. If you want to appear on this page, here is how to link to us. Officer.us.com - Site for returning U.S. Military Veterans to find employment in civilian law enforcement. Police Legal Exams - Site for police officers to take online national and state legal exams and obtain flash card sets. NJLawman.com - Police and Law Enforcement Online Magazine, news and resources for New Jersey law enforcement. PoliceLink article about the 16 Traits Police Recruiters are Looking For in a Police Applicant. PDJobs.com - PD Police Department tests, exams and employment resources. CFIWeb.com - Law Enforcement and Police Employee Evaluation Software and Digital Manuals. Trying for Deputy Chief or Assistant Chief? You MUST read this article, Succeeding as an Assistant Chief. PoliceAssessmentCenter.com - Resources for Police Assessment Center Preparation, Practice and Coaching. PoliceEmployment.com - Employment Resources for Law Enforcement Officers. PolicePromotion.com - Creates Promotional Exams and Assessment Centers for law enforcement agencies. PoliceCareer.net - Expert coaching services for law enforcement promotional candidates. Finests.com - Asst. Chief Bill Reilly (ret) - nation's leading coach for passing your police oral boards. LJCraig.com - Dr. Linsey Willis - national expert and coach on police assessment centers. PolicePromotion.net - Flash Card and Advanced Desktop Exam Sets from your police promotional and leagal textbooks. In-Basket.net - everything you need to pass your police in-basket promotional assessment. PoliceApplicant.com - expert services for helping entry-level police candidates get hired in law enforcement. Monster.com Columns on Police entry-level testing and how to achieve your police position and get hired in law enforcement. Monster.com Column on police in-basket exercise - Advancement: The Deceptive Nature of the In-Basket Exercise. Police WebMasters - do YOU have a site we should link to? Place a link to our site PoliceCareer.com on your link page, then send us the information we need to place a link for you on this page. Only links to sites promoting law enforcement education, training, promotion, career advancement, safety equipment, technology and other important services will be considered. We check links regularly for accuracy and we reserve the right to deny a link or cancel a link for any reason. 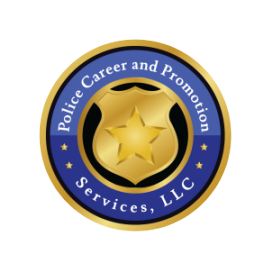 We are Police Career and Promotion Services, LLC - Connect with us on Facebook and Twitter and LinkedIn!